If you are interested in managing stress, then you must become aware that we create our own behaviors and feelings! Yes, It’s true! And since we create our feelings and behaviors, we are actually in control of them. So if we’re feeling stressed, we have the power to make ourselves feel relaxed instead! Unfortunately, most people use the control that they have to create negative feelings and behaviors instead of positive ones! Think about it. Have you ever felt tense, anxious, or stressed? Of course you have, everyone has. What were you doing when you had those feelings? Most people will tell you that they were worrying about something. And just what does worry consist of? It consists of obsessively thinking about things that upset you! It’s that simple. So if you knew how to teach your brain to automatically change your thoughts from the things that upset you to things that make you feel relaxed and happy, then you would always feel relaxed and happy. This is a fact. The secret to managing stress. The real beauty is that your brain can be programmed to make that happen automatically. Want to know how? Simple! If you teach your brain a little trick, which I call the NLP ‘Flash’, then the thoughts that upset you will become automatic triggers for thoughts that relax you. To say it in another way, your stressful thoughts will remind the unconscious / subconscious part of your brain to think of things that relax you. It works so well and it happens so fast (in millionths of a second) that you won’t even be aware of the negative thoughts on a conscious level. That is true stress management and the most effective way of managing stress that I know of. 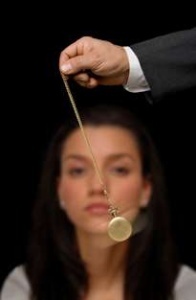 The use of a pendulum is a common metaphor for a traditional hypnotic induction. Many hypnotists will utilize a traditional form of hypnotism. Traditional hypnotherapy typically relies upon a ritualized hypnosis induction. This is a methodology that leads the subject from the normal waking state, into a hypnotic state. Once the subject is in a state of hypnosis, the hypnotherapist pronounces a series of suggestions such as these suggestions: “You will find yourself feeling more relaxed on a day to day basis. Stress will roll off of your back, like water rolls off a duck’s back”. The very essence of hypnosis is relaxation. And this kind of hypnosis is great for anyone who likes to be told what to do. But it’s a terrible method for people who are overly analytical in nature. An analytical person will usually have a polarity response and do the exact opposite of what they are told to do. With “Ericksonian Hypnotherapy” we use stories, called metaphors, to inject ideas and suggestions into the unconscious mind. This is a powerful and effective system, based on the fact that it usually eliminates the blockage of post-hypnotic suggestions, which is very often triggered by the conscious mind. There are two kinds of metaphors, “Isomorphic,” and those of the embedded command or “interspersal” nature. For example: With the ‘Embedded Command’ method, the hypnotherapist offers an engaging story that diverts the conscious mind. The story contains hidden indirect suggestions that are frequently accepted by the unconscious / subconscious mind. NLP is the discipline of utilizing the same natural thought processes that create a negative behavioral or emotional situation, to abolish it and replace it with a helpful one. NLP Flash: This is a super powerful NLP system that can be used to “flip” things around in the subconscious, so that thoughts that used to trigger feelings of stress or anxiety actually trigger peaceful thoughts instead. The NLP ‘Flash’ technique is just one of many techniques that are included in almost every multi-session Hypnosis & NLP CD & DVD program that is available on the Neuro-VISION.us website. In fact, most of these programs have between six and eight different sessions, and each session has a number of powerful techniques (in addition to the Flash) that will help change you into the relaxed and happy person that you deserve to be. NLP Reframe: Reframing is an effective system for aiding a person in adjusting behaviors. We must respect the fact that there is a positive outcome accomplished by all behaviors, even negative ones. 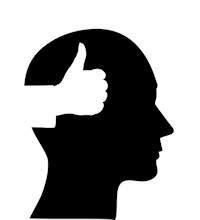 For example: The positive outcome of anxiety can be that creates enough discomfort to stop the client from participating in certain unwanted behaviors. When we do a ‘Reframe’, we do a negotiation with the unconscious. We ask it to shoulder responsibility for triggering the client to substitute another more positive and acceptable behavior to accomplish the same outcome. In the case of anxiety, we ask the unconscious to find a belief which will stop the unwanted behavior, without having to suffer from anxiety. With “Subliminal” techniques, the MP3 consists of two tracks. Track number one consists of a cover audio that is heard by the conscious mind. The cover audio can be anything from nature sounds to music. Its purpose is to amuse the conscious mind. The second track consists of direct commands that are listened to by the unconscious / subconscious mind. If the Subliminal uses the normal ‘Silent’ technique, the suggestions can in no way be heard on a conscious level. It is the opinion of most experts that this technique has no validity and simply does not work. If there is any success at all, it is usually caused by the placebo effect. Conversely, ‘Threshold Subliminals’ offer a methodology that actually does work. Dissimilar to “silent” subliminals, if one listens carefully, they can hear the affirmations on a conscious level. The user focuses his attention on the cover sound, which can be music, a nature sound, or binaural beats. The cover sound distracts the conscious mind, so that the positive commands are easily added into the unconscious / subconscious mind. The results can be fantastic! After listening to the cds, I knew that your products were effective, first class productions and I made a second order – part two of the relaxation program and your weight loss/exercise program complete with DVD. I could include several paragraphs of praise about the programs, but the most important information I can provide is summed up in two words: IT WORKS. 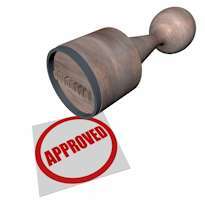 It works – that’s what people should know about the programs. It’s money not only well spent, but successfully invested in products that truly deliver what they promise. Alan B. Densky, CH is an NGH certified consulting hypnotist. He offers a complete line of stress elimination hypnotherapy CD’s, and advanced stress management hypnosis CD’s through his Neuro-VISION self hypnosis website. This entry was posted in Anxiety & Stress. Bookmark the permalink.